The new GTI will be the first car delivered to America by the German automotive giant that features the new MQB transverse, front-engine, front-wheel drive design. This is a design that allows for both a more modular design and manufacturing process, but also reduces costs…which means VW owners get more technology for their dollar. 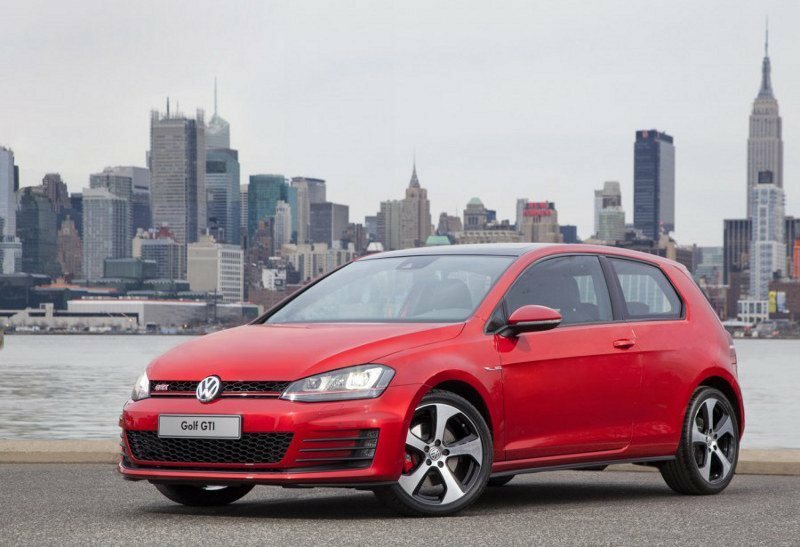 Driving enthusiasts, however, want to know what type of power the 2015 GTI, a sport model of the mass market Volkswagen Golf, will deliver. The EA888 engine is a four-cylinder, 2.0 liter block that incorporates the exhaust manifold into the head casting, a unique design. The IHI Charging Systems turbocharger is said to deliver a compression ratio of 9.6 to 1, an impressive figure for such a small motor block. Total output is reported to be 217 hp, with an exhaust cooling system that improves fuel efficiency as well as boosting power. The GTI’s 0 to 60 mph time has been clocked at 6.5 seconds. An optional performance package will shave a tenth of a second off the acceleration time. It will also yield 2.5 mph to the vehicle’s top speed. 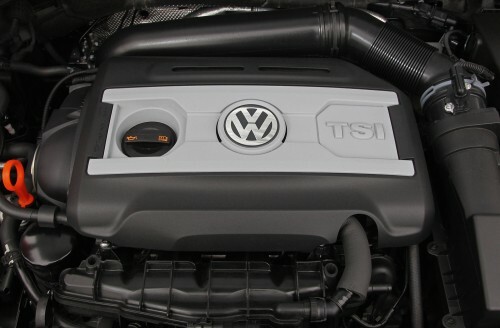 The performance package will also add an additional 10 hp. 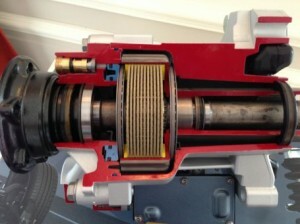 The BorgWarner Haldex locking differential in the 2015 GTI. Image courtesy SAE.org. The electronically controlled Haldex locking differential represents a major upgrade in the GTI’s handling. The variable steering rack and dynamic stability control software combine to make the GTI one of the most responsive cars on the road. Variable spacing of gears on the steering rack should make response smoother without impairing the quick handling. The variable steering system is also expected to cut the GTI’s lock-to-lock range to 380 degrees, down from the 500 degree range of the stock VW Golf, which means more steering responsiveness in a range of situations. The Haldex locking differential will automatically lock and unlock the differential in real time, providing increased safety and performance in all weather conditions, but also allowing the vehicle to use engine power to assist handling. Compared to most FWD vehicles, this electronic locking front differential is kind of a big deal. North American GTIs will be constructed at VW’s plant in Puebla, Mexico. The vehicle will sport the increasingly popular 5-door design. This is similar to designs used in the newer Ford Focus and the Subaru Impreza.